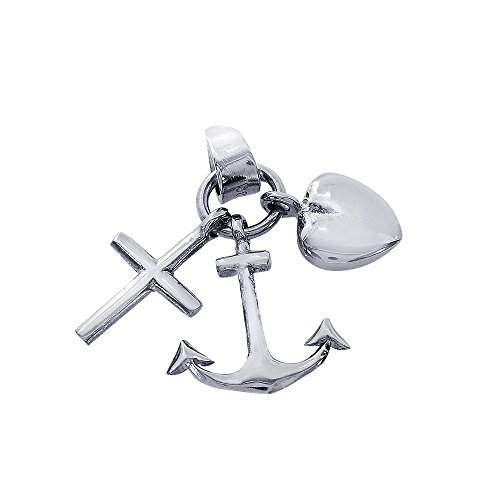 This beautiful charm pendant crafted in 14K white gold. Each mini charm represents the three Theological virtues: Cross - Faith, Heart - Love or Charity, and Anchor - Hope. It weights 2.2 grams and its length is 0.9". Polished to a bright shine, this meaningful look suspends from a favorite chain or charm bracelet (sold separately). If you have any questions about this product by Avital&Co., contact us by completing and submitting the form below. If you are looking for a specif part number, please include it with your message.